What States Allow Flying Squirrels As Pets? 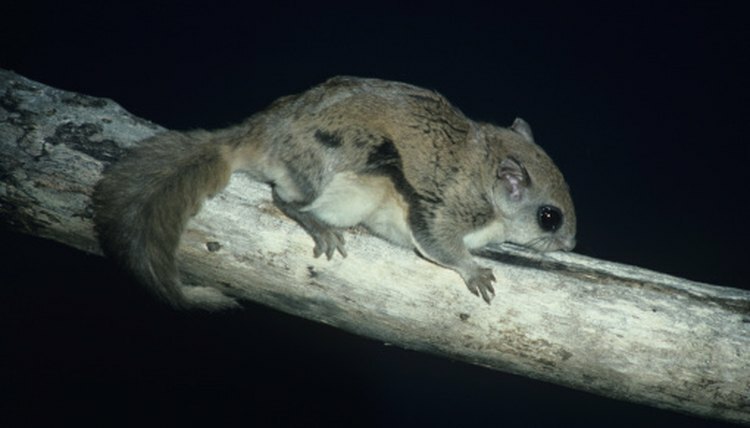 People have kept flying squirrels as pets for hundreds of years, as they can make for a unique companion. However, their exotic status means it may be illegal to have one. It is important to know the legality of a pet before purchasing one. Some states have outlawed keeping "exotic" animals as pets, but many counties and municipalities have rules governing pets as well, so before purchasing a flying squirrel it is important to be sure owning one is legal. To determine the legality of owning a flying squirrel, do your research. If you are renting a house or apartment, there may be a clause in the lease agreement concerning pets. Consult the lease or rental agreement and if it is unclear, contact the landlord or building owner. Many homeowners live in areas that have homeowners associations that could also have rules regarding pets. A property owner will be able to say if they allow flying squirrels but may not be aware of local or state laws regarding pet ownership. Just because they give consent does not mean it is legal. Cities and towns can also have laws restricting pets such as flying squirrels. Calling city hall or municipal offices can provide an answer at the local level, and if the town has no law banning flying squirrels or are unclear on the state laws, they may still be able to give contact information for the office or person responsible for pet-related regulations. Information on state laws regarding flying squirrels as pets may also be available online, but be sure to get the information from a trusted source such as a state or city's official website. Laws and regulations are subject to change, so published articles may be out of date. It is best to get the information from a source that would have access to all current legislation. Whether a flying squirrel is legal in a particular place or not is not always black or white. While some states or cities may have an outright ban on flying squirrels and exotic animals as pets, many others simply require that the pet owner purchase a license for the animal or register it before adopting. This can often be done through the pet store or breeder where the flying squirrel is being purchased. States where flying squirrels are legal to keep as pets are: Alaska, Arkansas, Connecticut, Georgia, Idaho, Iowa, Illinois, Kansas, Kentucky, Louisiana, Minnesota, Mississippi, Missouri, Nebraska, New Hampshire, New Jersey, New York, North Carolina, Ohio, Pennsylvania, New Mexico, Rhode Island, Tennessee, Texas, Wisconsin and Washington. The states where a permit or license is required to own a flying squirrel are: Arizona, Delaware, Indiana, Florida, Maine, Michigan, Montana, North Dakota, Oklahoma, Oregon, South Carolina, South Dakota, Utah (Northern Flying Squirrels only), West Virginia and Wyoming. The following states do not allow residents to keep flying squirrels as pets: Alabama, California, Colorado, Hawaii, Maryland, Massachusetts, Nevada, Utah (Southern Flying Squirrels are banned), Vermont and Virginia.